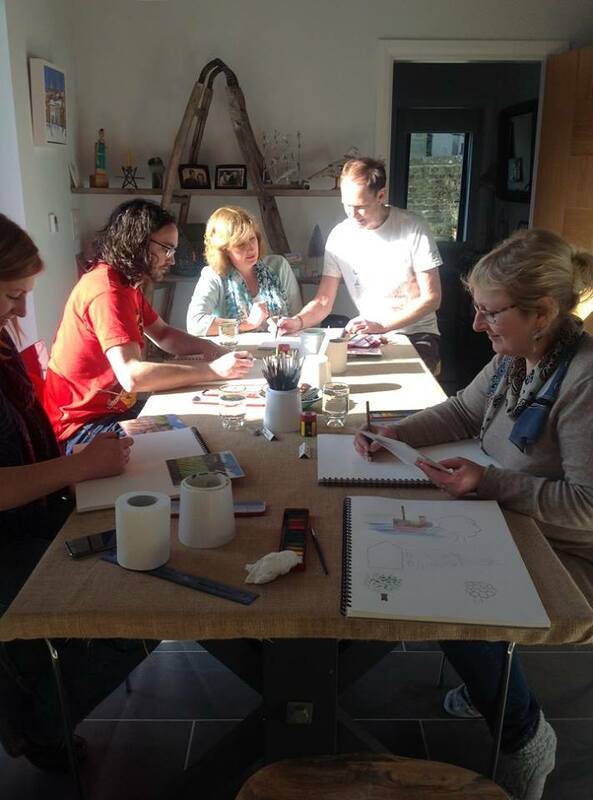 Art workshops for adults at my home! Having talked about this for a couple of years, 2018 was finally the year we started to run small art workshops for adults in a peaceful, countryside location in the beautiful Lune Valley between Lancaster and Kirkby Lonsdale. 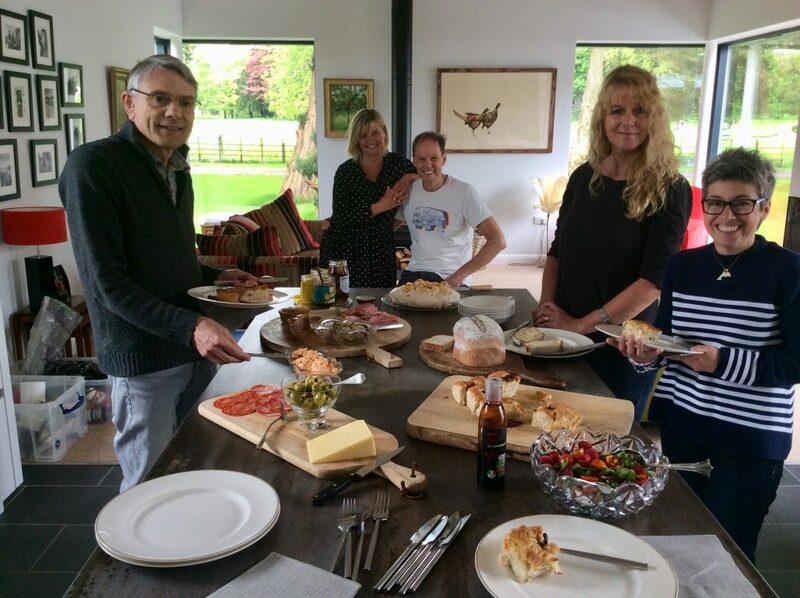 The workshops take place at our home, in our large, bright, open-plan lounge/kitchen with floor to ceiling windows and high vaulted ceiling – the ideal space for painting with friends in a relaxed and informal atmosphere. Very small classes of no more than four people ensure individual learning needs can be met and all abilities are welcome – no need to have picked up a brush before! Art workshops are available for two days each month, from 10 am to 4.30 pm. A buffet lunch is included, as well as unlimited tea and fresh coffee! All art materials are supplied and you will also receive a complimentary signed print by Chas to take home with you. Please contact us if you would like to book a place on one of our art workshops by email at jackieandchas@chasjacobs.co.uk or telephone (01524 805609). Cost per person: £125.00 for a full days art workshop with Chas, including *buffet lunch and unlimited tea/coffee/soft drink and signed unframed print. All art materials included. Maximum of 4 people per workshop. 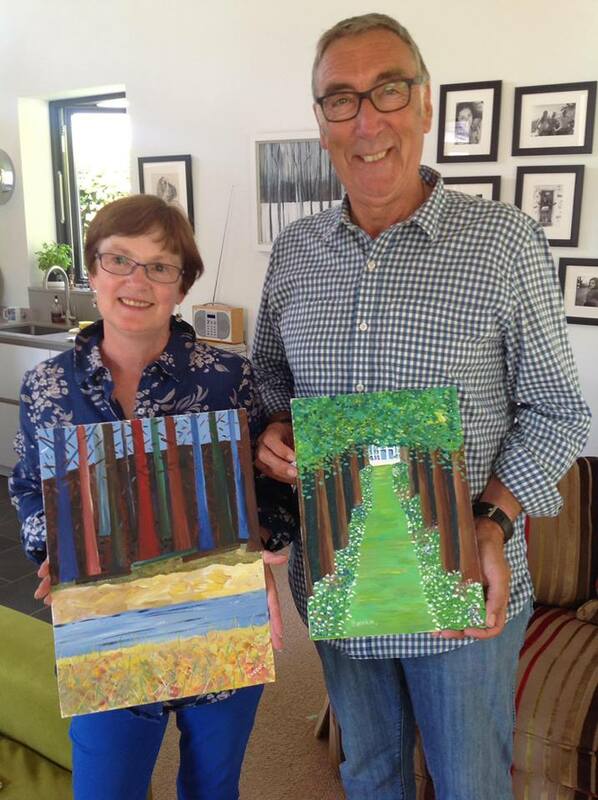 We are happy to book corporate art workshops for a maximum of 6 people, but please enquire to make sure. Special occasions: if you have a special occasion you would like us to celebrate at the art workshop, such as a birthday etc please let us know. *Please advise us of any dietary requirements when booking. A deposit of £50.00 is required when booking, with the full balance payable 6 weeks prior to the art workshop. Payment can be made by debit/credit card or Paypal, cheque or cash. Please email or telephone 01524 805609 to book. If you wish to cancel your place at a workshop, you must do so at least 14 days before by email or telephone to receive a full refund. If you cancel less than 14 days before the workshop, you will receive a refund of 50% of the workshop fee, or you can transfer your booking to another date. Dates of art workshops will be released at intervals throughout the year. If you are interested in attending a workshop, but no dates are available, please email your interested and we will contact you as soon as new dates are released. Gift vouchers can be used for art workshops and are presented as a handwritten greeting card from Chas – ideal birthday or Christmas presents. Please email or telephone for more information. *Our address and directions will be given on booking. If you are travelling far, we can give recommendation for accommodation, eating out in the area, etc. Hope to see you sometime during 2019!